Every so often, you’ll encounter a tech pro on a job hunt who’ll admit to sending dozens, even hundreds of resumes to prospective employers. Despite firing off all those emails and applications, however, the mystified tech pro wonders why none of those employers have reached out to schedule a job interview. 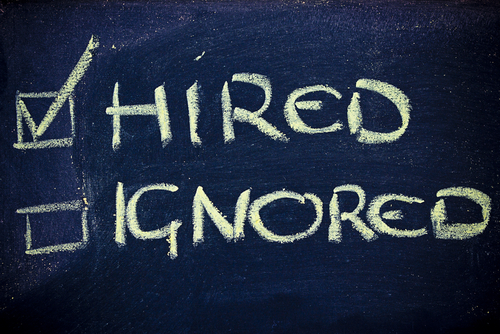 There are several reasons why a resume carpet-bombing won’t return acceptable results. For starters, not all companies are the same, and the majority of recruiters and HR staffers are very good at discerning whether a resume is “generic” or tailored to their company’s specific needs. Generic resumes simply don’t make it very far along in the review process. Candidates who send out dozens or hundreds of resumes also lose sight of a key fact: The resume is just one piece of the overall puzzle. When you ask successful candidates how they landed a particular job (or, alternatively, ask employers why they went with a particular candidate over another), you’ll likely hear a lot about building a relationship. Networking, taking informational interviews, and other techniques can all place you much more effectively on a company’s radar than clicking ‘Send’ on a resume and hoping for the best. People only have so much time to look for a job; spending those precious hours focusing on companies and sub-industries that genuinely interest you, and applying multiple approaches to land a job interview, is arguably more effective than simply shooting out resumes into the void. Not bad, but I was hoping for actual proven tips on the networking part. Those of us not in big cities or in college find it difficult to network with prospective employers or colleagues from hundreds of miles away. If 15 of the hundreds of companies in San Francisco are a perfect fit for me, or 8 of them in Seattle, how would I know? Hundreds show up on job searches every week, there is no time to investigate each one. On rare occasion, they contact the employee. I’ll keep using github and other sites. How about regular bombs? Do those work? I’ve tried both methods, and carpet bombing works for me just fine. Sure, out of 100 “looks” I might get phone calls about 12, phone screened down to 8, interviewed for 4 and receive 1 or 2 offers. With the advent of resume meta-sites I can get those initial looks in a single evening of updating the ‘ole resume. If I tailor it to specific positions it would take me an evening PER job. In the end I do probably have a better chance of hearing back from targeted opportunities but it’s certainly not worth the extra time unless it’s my dream job. It’s important to know that I work in defense and have no real preference for what company I work for. Sorry, but being laid off several times and generally treated like a seat-filler regardless of performance has left me in survival mode. I want to slap these vapid HR/Talent Acquisition people who use words like “work/life balance” or “goal realization” when they know that their business relies on squeezing the workforce for every last drop of productivity before they leave. In their world next to the executives yes it seems standard to tailor a resume. For the rank and file employee it makes sense to play the numbers game.